I am not sure if I have mentioned this before, I work for a large software company. I have decided to provide a function Christmas gift to some of my favorite work people. A lot of my colleagues spend a considerable amount of time on the phone and they either hold their phones or lay them down on the desk. As I was playing with my new cover, for my phone (which has a build in stand) I had the idea I could make little stands for their desks. I found this image on google images, and thought it was adorable and perfect for Christmas gifts. I set out, to make this as simple as possible, and after 30 minutes this morning the first gift is complete. 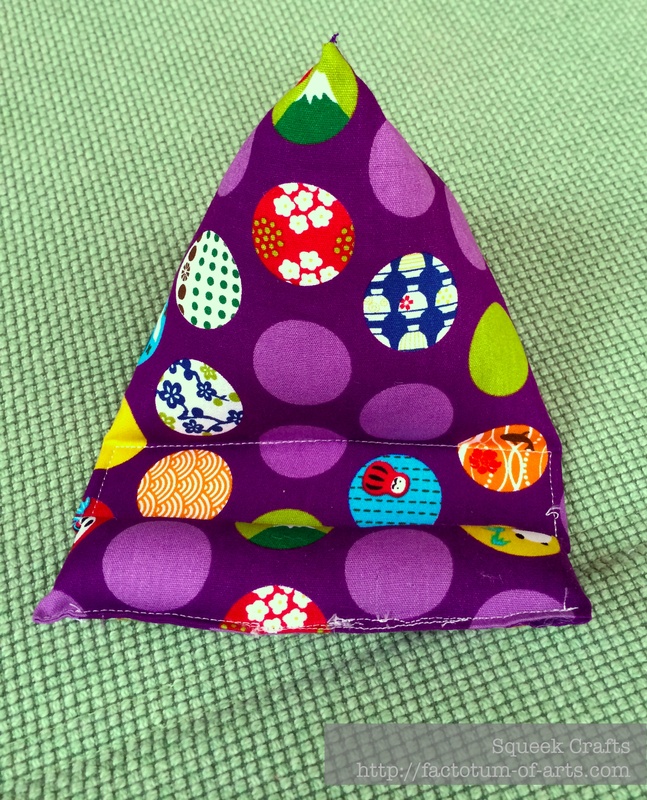 I do need to go back and fix that front stitching – I am thinking I will sew the seam with a slip stitch instead. If anyone is interested in a tutorial, I can post one during the week. NEW PHOTO added…This is where I got to by the end of the day, I was excited these came out as quickly as they did. I also fixed that front seam on the purple stand. Anyway, posting a little late but linking up with Amanda Jean @ Crazy Mom Quilts for Finish it up Friday. 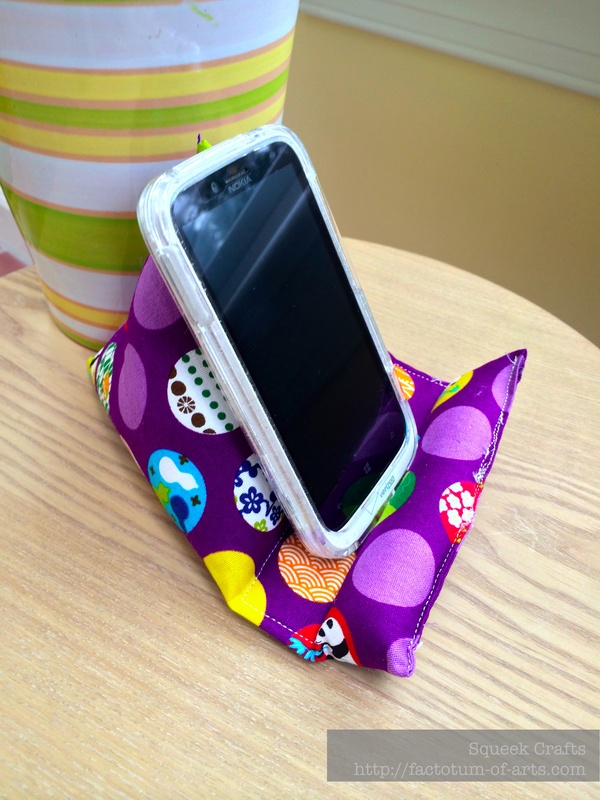 This entry was posted in Uncategorized and tagged cell phone stand, christmas gift, iPhone Stand, sewed, sewing, work on November 23, 2013 by mlwilkie. I love your ipad holder.Do you have a tutorial or instructioms for assembly? I love your cell phone stand. Would make a great present for my daughter. Please could you post a tutorial. As you seem very talented have you any other xmas ideas! YES I am interested! I really love practical gifts that nearly everyone can use. Sometimes I like making a special individual gift for each person, but other times making the same thing for everyone is THE answer! And what a great stocking stuffer this is! I’d love to know how to make them. Thanks! The best thing about this gift it only takes about 30 minutes. Fabulous if you ask me !!! Pingback: Making Christmas List Link-up Week 7 | What the Bobbin? I love it!! Great gift idea! Thanks – I loved them finished…couldn’t believe how they turned out. That’s a genius idea! too cute! That’s so cute, what a great idea! Thanks, I thought the same thing when I saw them in my google search. Genius! That’s a great gift idea. Would love a tutorial! These are perfect! I love them. They would be useful for ipads too!!! They do work for e-readers and iPads too. I would say it works well with the long side down….I would make them a little bigger if a person wants them to stand up along the short side of the iPad. 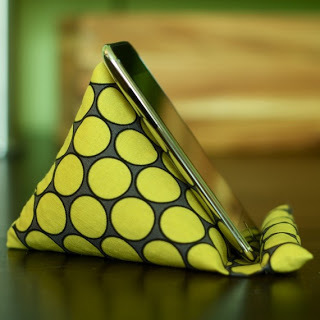 I would love you to post a tutorial for these clever phone stands. The fabrics you chose are so cute! Post for the tutorial is coming Friday. I have a pretty good stash now and these are some of my fabrics I wasn’t sure what I was going to do with….they work perfect for this project. That’s a really cute idea for your friends. I’d love a tutorial! Thank you. I got a lot of yay for the tutorial so it will be coming Friday!! Thanks for stopping by. They look great – what a fun idea. How cute are these!!!! This is such a genius little gift. They will be loved. I like all tutorials. Yes please. Tutorial is coming your way on Friday….just need the daylight. I don’t know how folks get daylight photos during the week at the moment!! Wonderful idea! Yes, please post a tutorial. I want to make some too! I love this. I may have to make one. But I think I will put a button hole in the bottom so put the charger through. 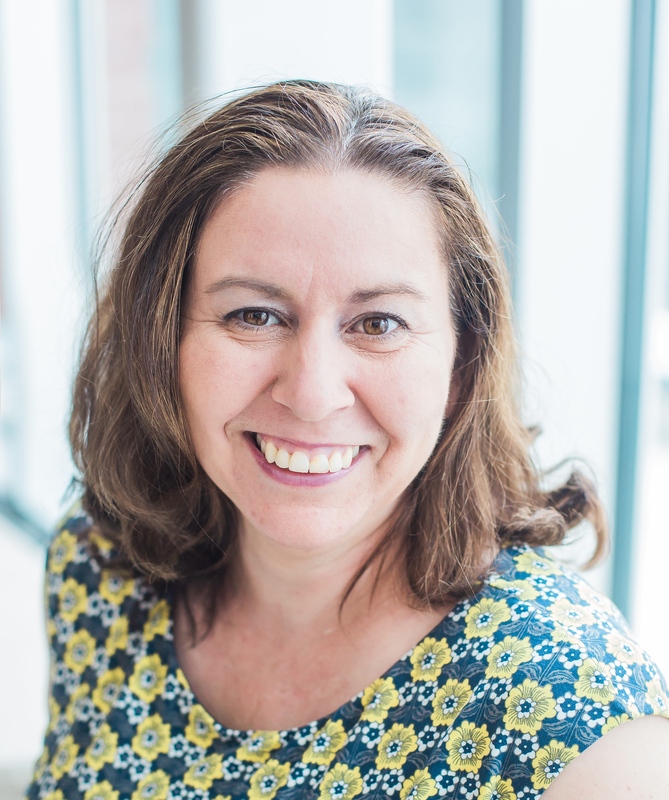 Anya – great idea. Thanks for stopping by. how would the item stand up with the charger being plugged in on the bottom? They look great, and what a perfect idea for little Christmas gifts for coworkers! 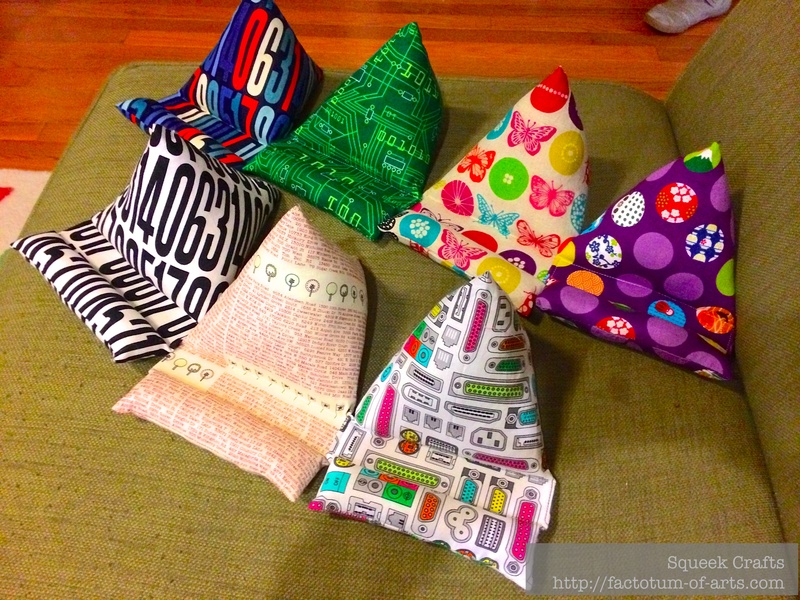 Pingback: Fabriholics Anonymous – WIP List | Simon Says ... Sew!